And here it is! What I have predicted has become a reality. The heroes grew stronger, and instead of their own legs, they are now running through the woods and caves on the backs of the divine creatures. I saw them with my own eyes. I do not know, how their horses got to our island, but it does not really matter. Now it’s just that their big heavy paws stup through the fields and smash our fields of mushrooms. We have to make them stop! Somehow like this, Arcadia kingdom would probably react. 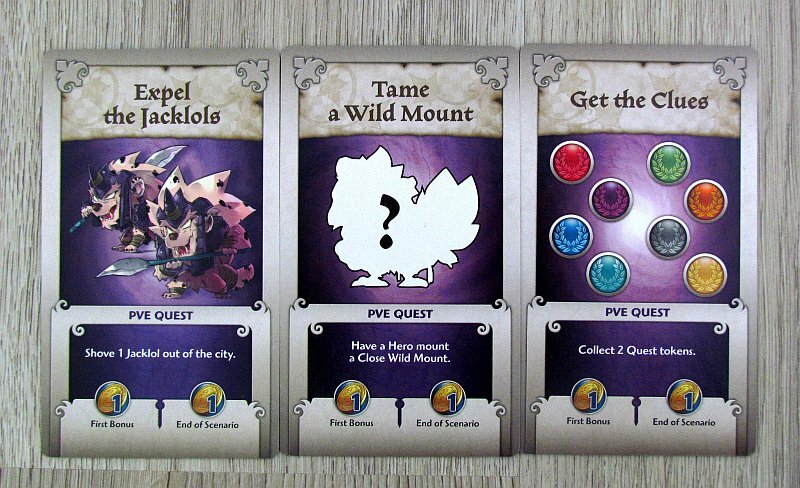 That’s name of a world, where Arcadia Quest and new Riders expansion are taking place. New box again comes from heads of four designers: Eric M. Lang, Fred Perret, Guilherme Goulart and Thiago Aranha. And this news was created under Spaghetti Western Games, with supervision of CMON (Cool Mini or Not). 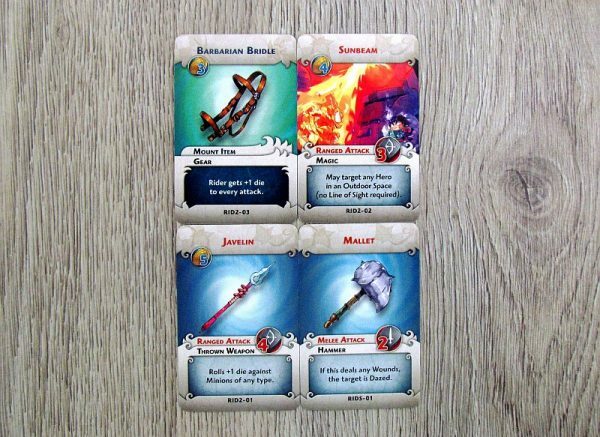 Esdevium Games is in charge of European distribution. And the box itself with its illustrations clearly indicates, that there will be really the pets, on which you can ride! But the box is not small at all. It contains three new two-sided boards, which will house all the adventures of the new campaign. 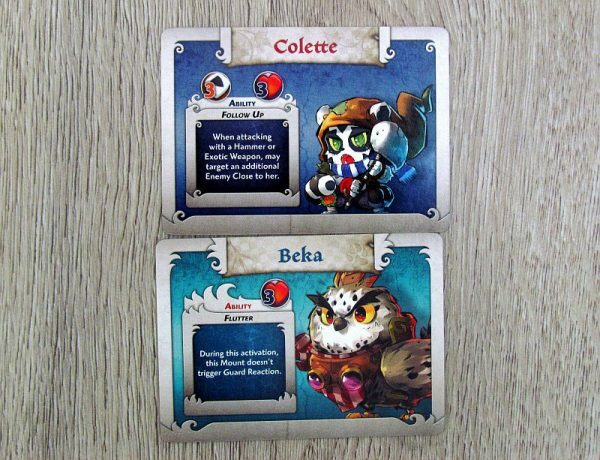 There is a set of cards, pair of heroes, eight monsters, but also a set of upgrades and quests to complete in new adventures. 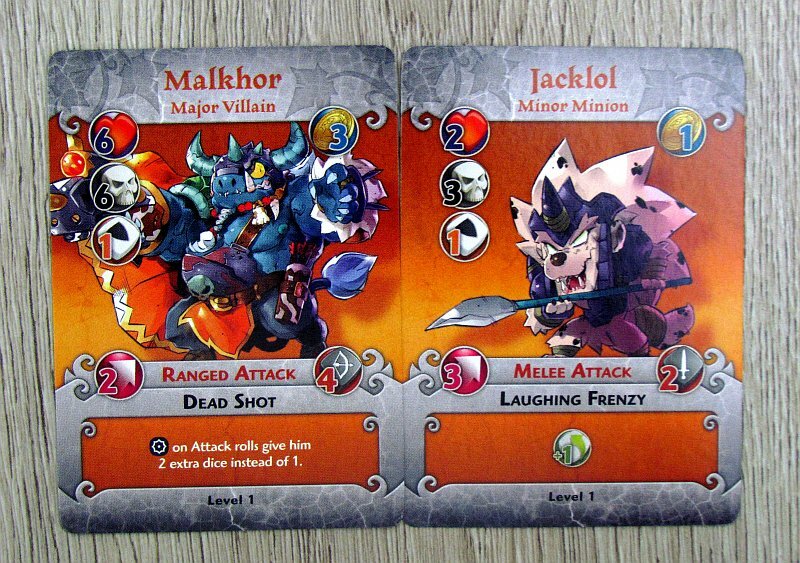 But to start their route to destiny, players will pick up six big mount cards and then, of course, many new miniatures. 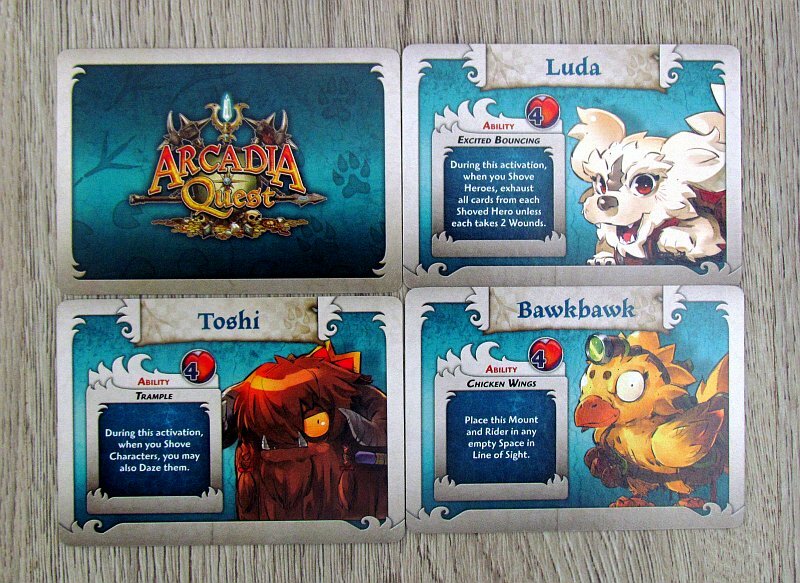 Also because of them, we are always happy to play Arcadia Quest. Arcadia Quest is a game, where players fight against each other. They always have in their service a group of heroes, who go through the map and try to fulfill public quest cards. 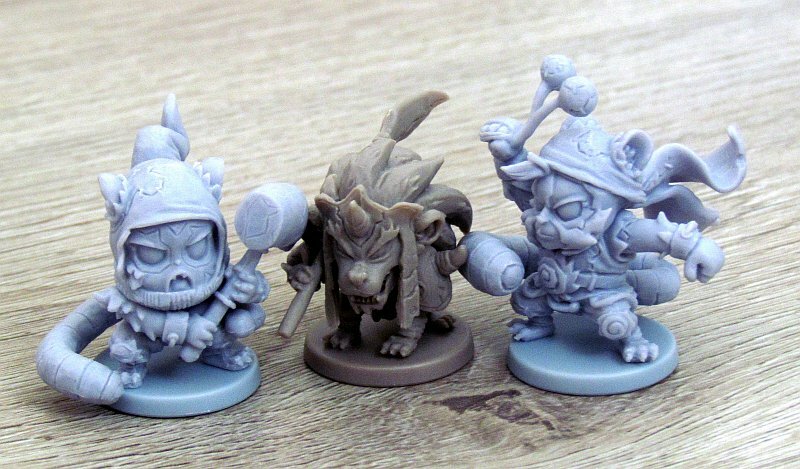 But there are not only the figures of the opponent players, but also the various monsters waiting for their chance to strike. So you need to fight, improve your characters and have proper dose of luck. Dice play an important role in duels. But winner is decided by completing quests. But this time, it’s all different. Heroes will not travel on their own feet! 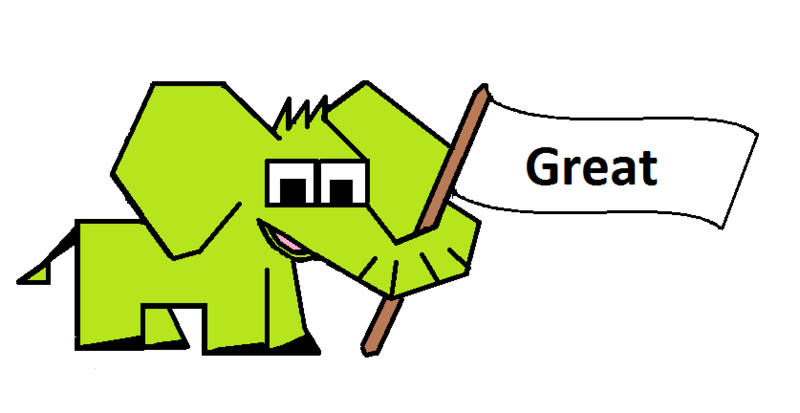 Every guild gets to the start with one of these creatures and then the player must first choose a hero from his team, who will ride him. This faithful mount will then accompany him to battle. 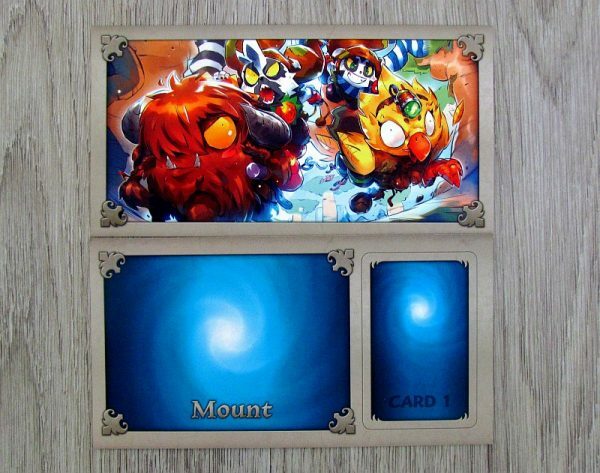 It has its own number of lives and even the ability printed on the card. New miniatures, on which players ride to battle, are really huge and take a whole space on the map. Due to their size, they also have the ability to push any other characters from its location to the neighbor, and player chooses where they have to exactly end. In combat, rider and his mount attack as a whole and their owner divides any injuries between the rider and his horse. Whenever it is possible to dismount or recall the animal, then jump on it again. None of that would have been valid unless we had stories, in which these new four-legged heroes have an almost major role. For all adventurers this time, there are nine new stories. After each game, players have the choice of two sequels, making every passage a unique story. And even though the first and the last two levels are always the same. An overview of the entire progress is printed on the overview map of a campaign, that shows how individual locations are linked to each other. We’ve grown accustomed to the fact, that expansion always counts on the ownership of either Arcadia Quest or its Inferno brother. 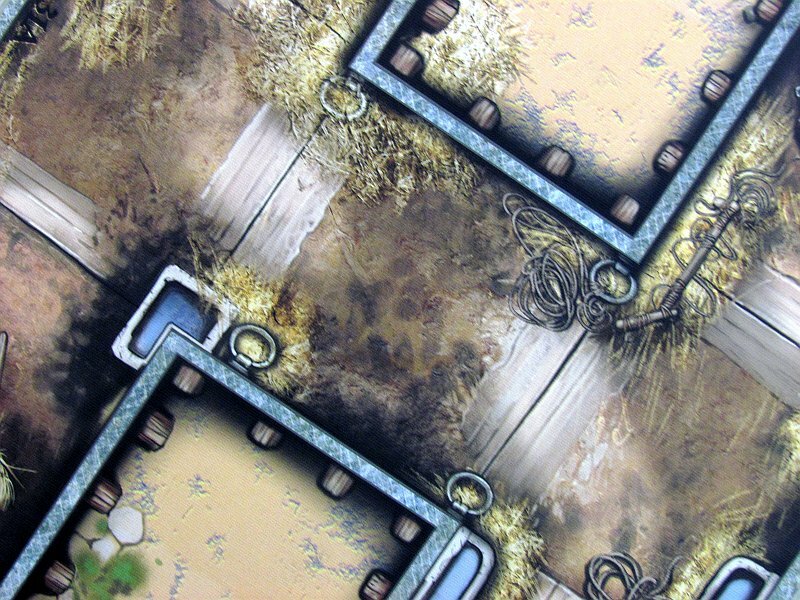 Therefore, there are always two maps for each scenario in the rules. 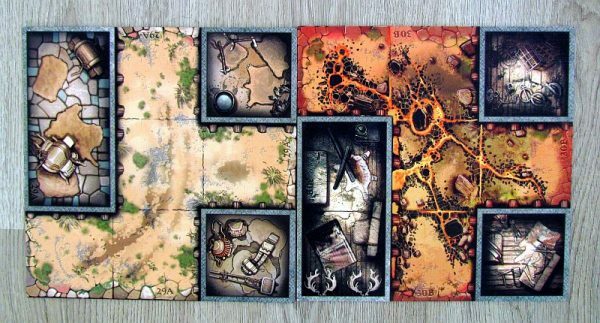 The individual parts of the campaign bring players not only unique quests, but also some specific rules. Besides four-legged pets, new enemies, especially the big and powerful Malkhor, are hiding in the box. New features can, therefore, not only revive the great impressions, we already know from past boxes and offer something new. 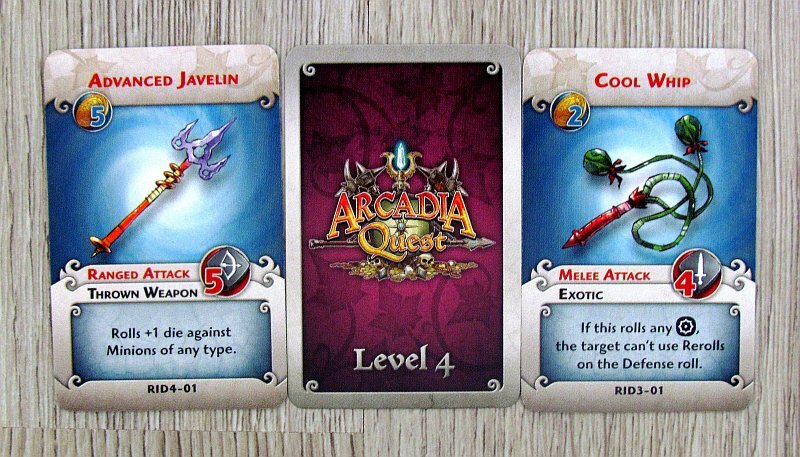 Variability is important in replaying Arcadia Quest. And the most important role in this have precisely those new mounts. The new campaign can be great fun and it stretches always across five adventures. They are well combined, although the tasks themselves are not unique in each story. As a result, Riders expansion does not offer anything entirely new in terms of experience or mechanics. But that’s not all. There are also two new heroes in the box, but they are not extremely interesting with their special skills, just ordinary. 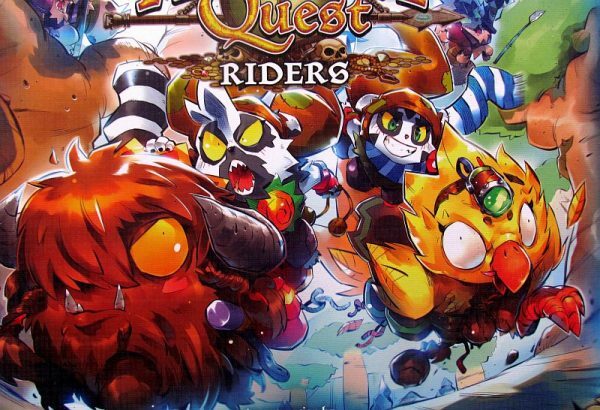 The creatures being ridden have their capabilities far more interesting and can for example fly around the map or enhance attack on the enemy of their rider. The new task cards generally also revolve around tricky creatures. There are no new features, that should prolong the game time. Everything stays the same regarding time needed to finish one story. It is only up to the players, if they continue the campaign or interrupt it. The experience is better with a higher number of players, but we do not say anything new to you once again, because this is true for the whole series. In addition to the added variability, the main feature is excellent processing. Beautiful miniatures are complemented by excellent illustrations. 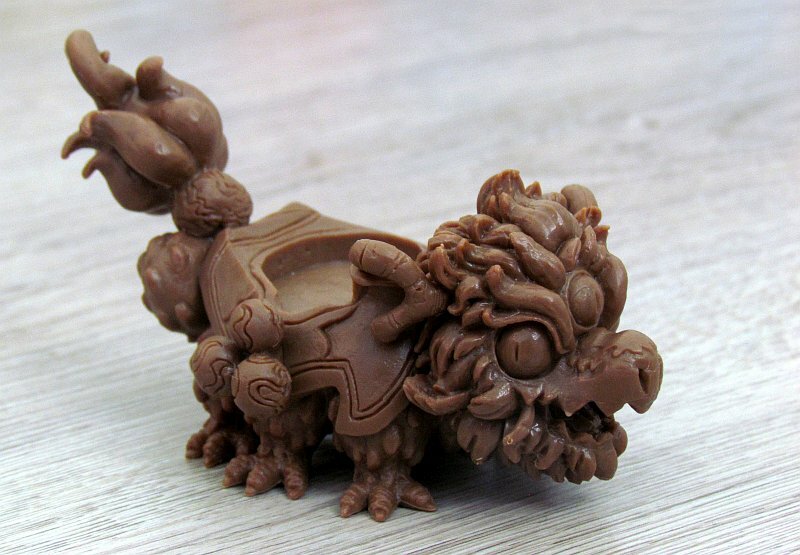 None of the components are lacking anything and the production value is pretty high. 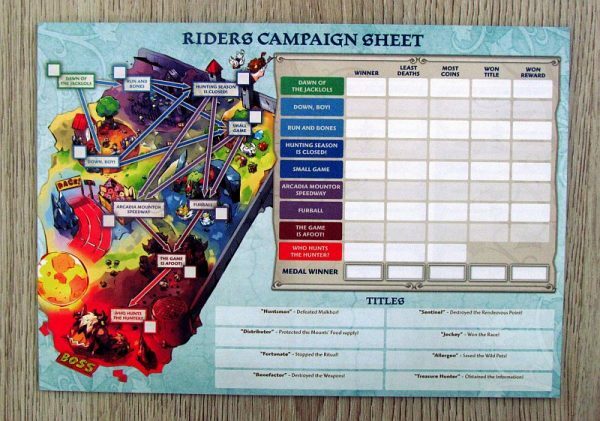 Even the rules are clear and comprehensive, because they cover a large part of the description of the campaign and its maps. Unfortunately, the quality of the content also corresponds to the price, that is quite high for expansion box. Arcadia Quest: Riders is an extension of quality and adding plenty of new content to make its existence worthwhile. 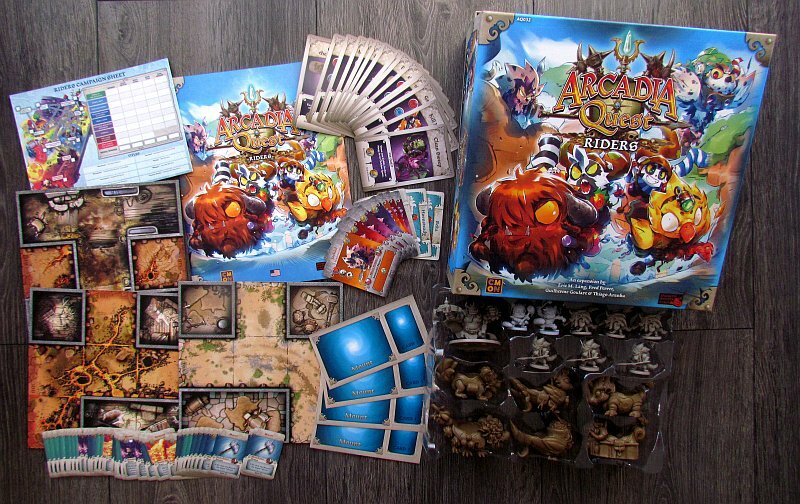 So if you love Arcadia Quest’s stories, then we will definitely recommend this box, because it offers gorgeously, cute and tempting miniatures. 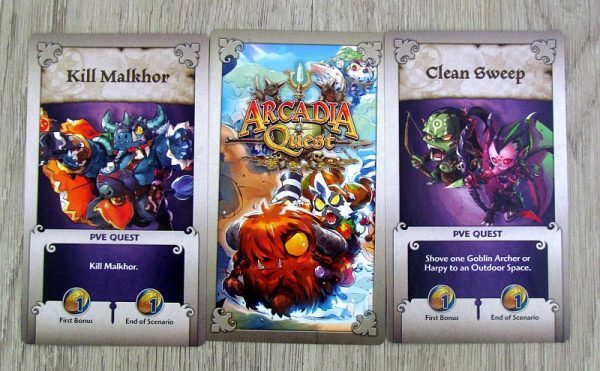 Arcadia Quest: Riders is a game, that adds variability and thus fulfills its core mission. 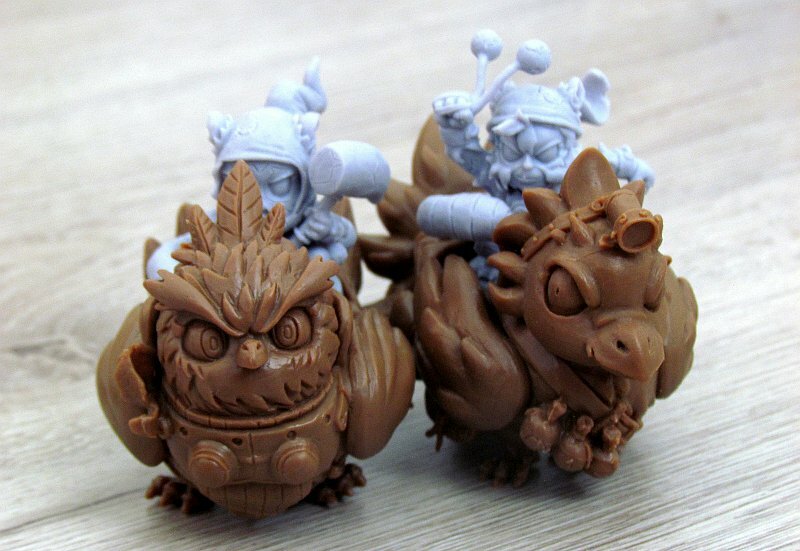 Arcadia Quest: Riders is another (and maybe the last?) expansion, that adds content to this fantasy world. So if you like the stock of figurines and enough heroes to choose from, then this box is made for you. New four-legged pets can be saddled and this brings interesting new features. However, the overall impression is no different from the already known experiences in the Arcadia Quest world. But this is also a good thing, because although the game stays random and relies on dice, it is primarily fun. 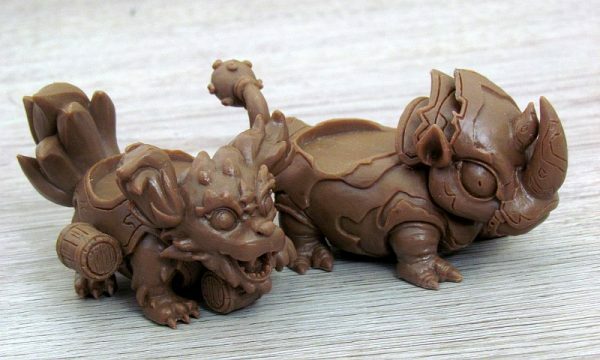 Arcadia Quest: Riders is just a high-quality addition, despite its higher price.